Connection of high-voltage probes to the DIS ignition system. 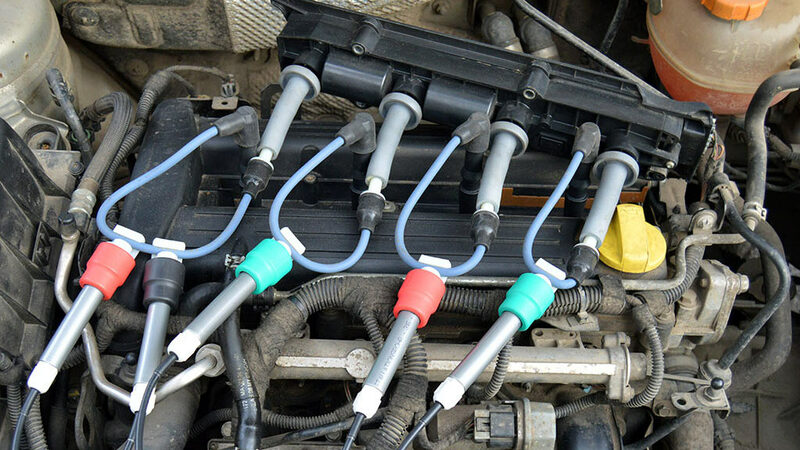 Connection of high-voltage extension cables and probes to the DIS ignition system, with the ignition coils mounted above the spark plugs. 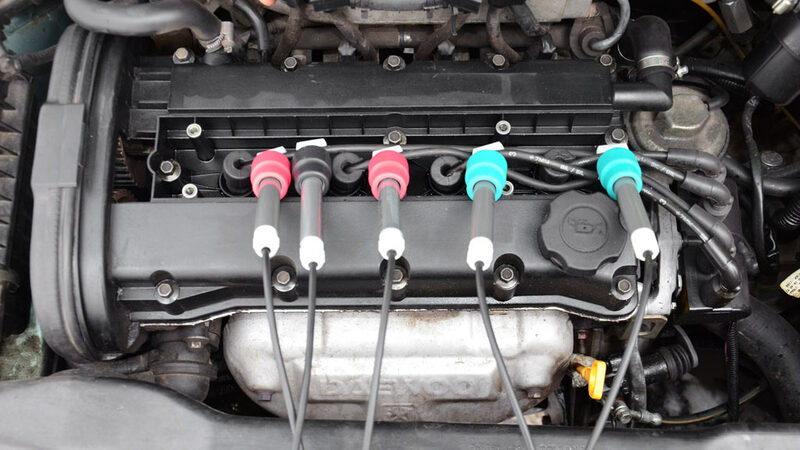 Connection of universal inductive probe to the DIS ignition system, with the ignition coils mounted above the spark plugs. 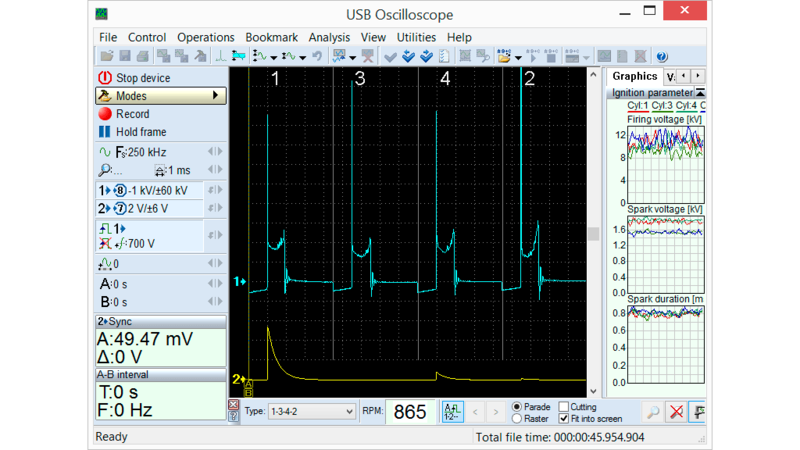 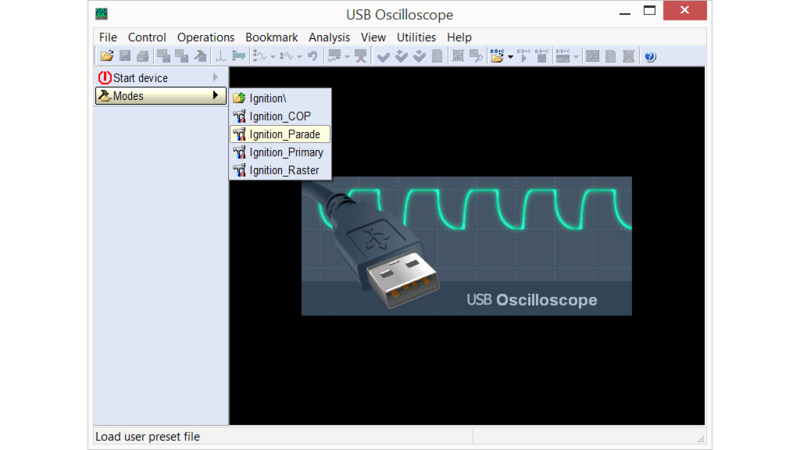 Setting the USB Autoscope IV to display ignition pulses in the “Ignition_Parade” testing mode. High voltage waveform from a DIS ignition system in good condition, displayed using the “Ignition_Parade” testing mode. High voltage waveform from a DIS ignition system with a malfunction, displayed using the “Ignition_Parade” testing mode.